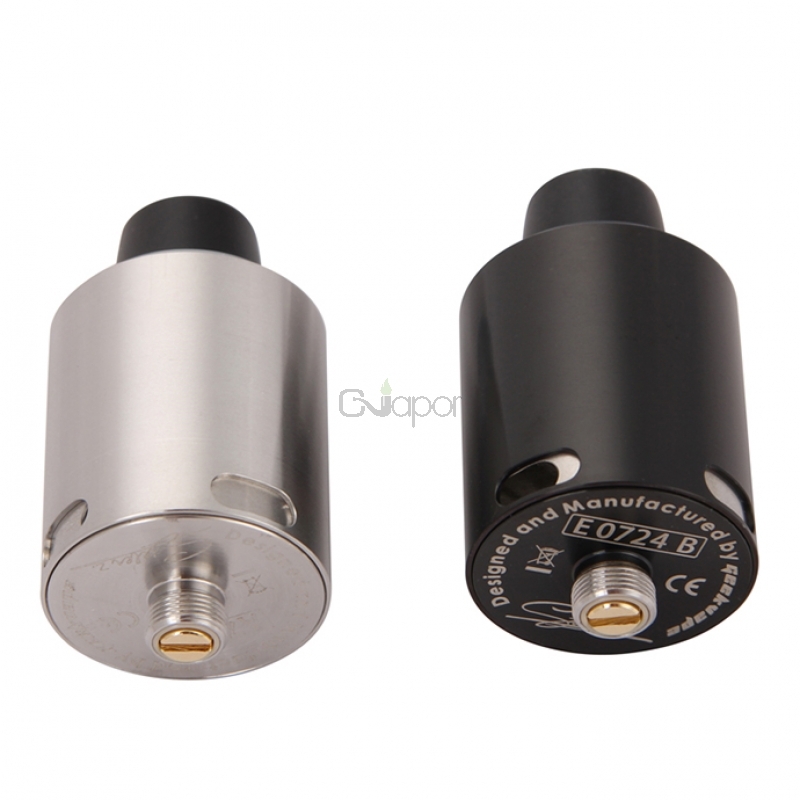 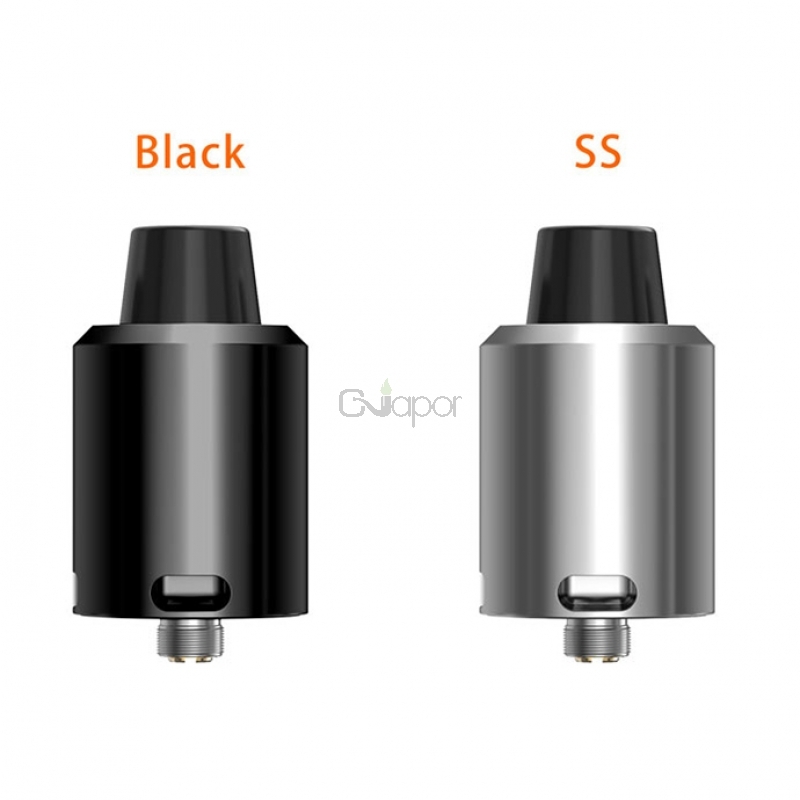 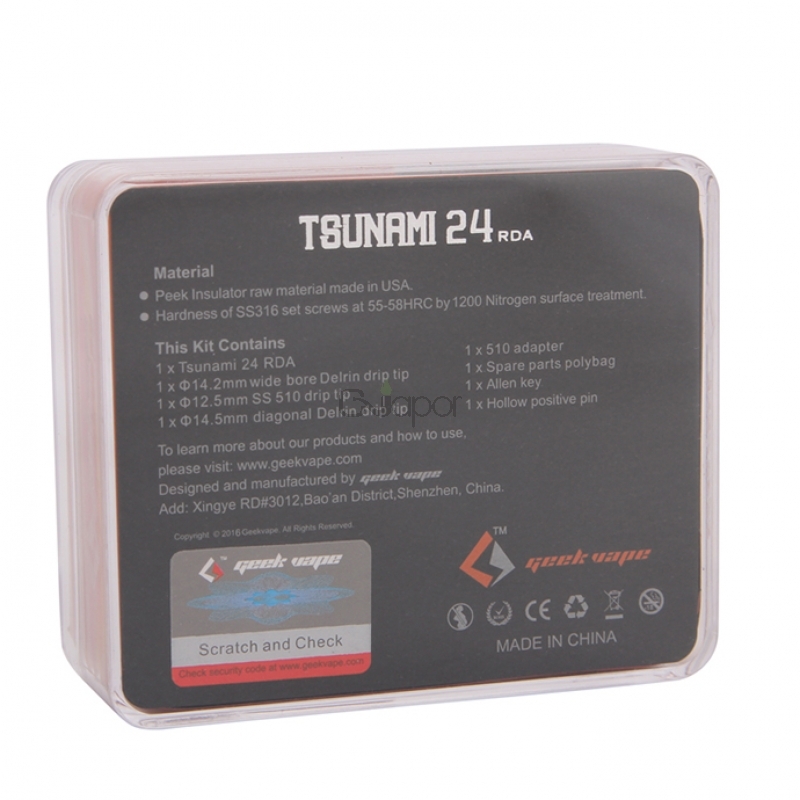 Geekvape Tsunami 24 RDA is a new version Tsunami RDA that features 24mm diameter. 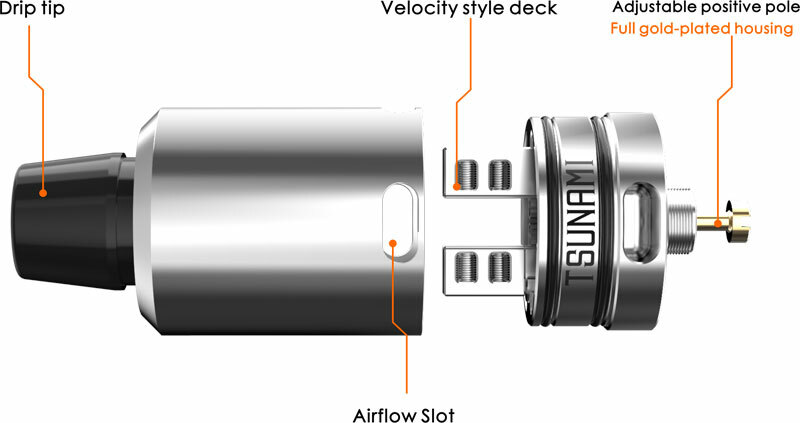 With improved velocity-style deck, it has large space to accommodate more cotton. 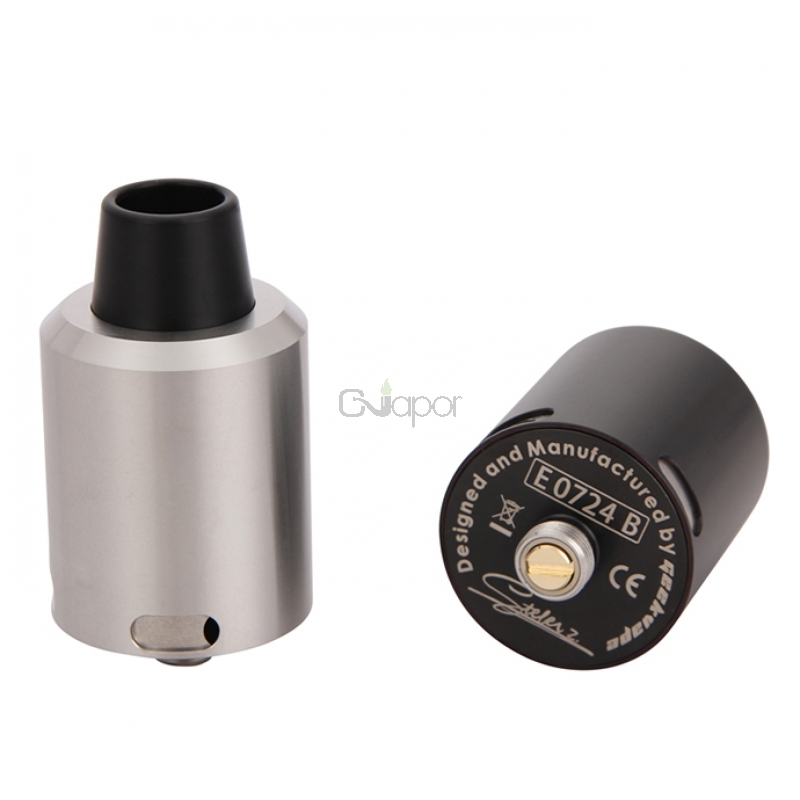 And it is available for single or dual coil. 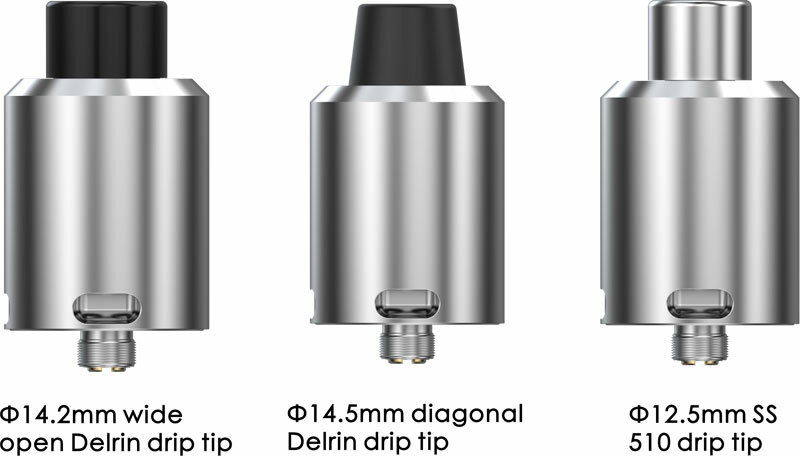 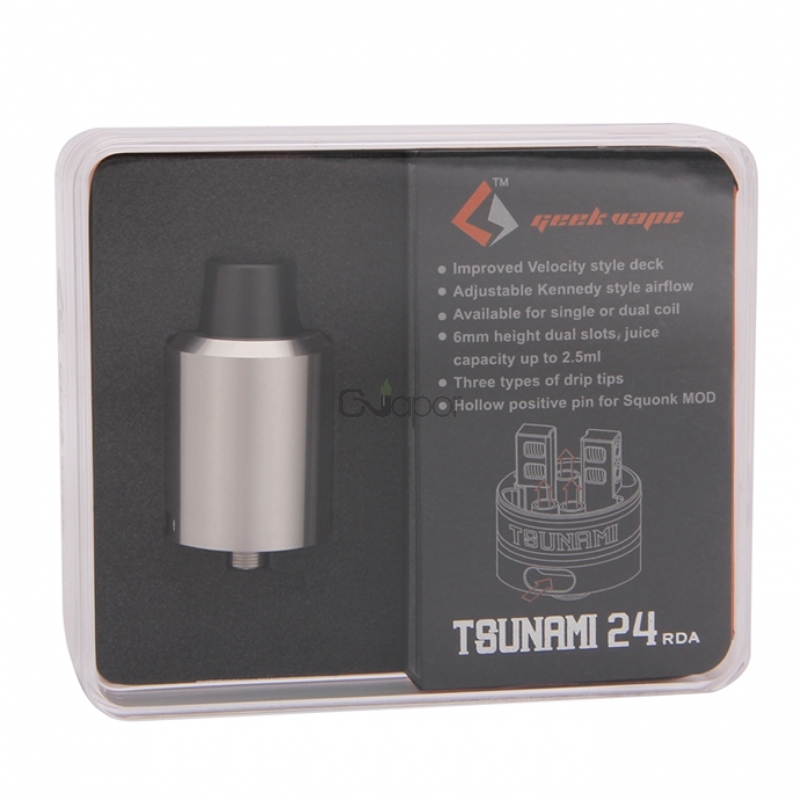 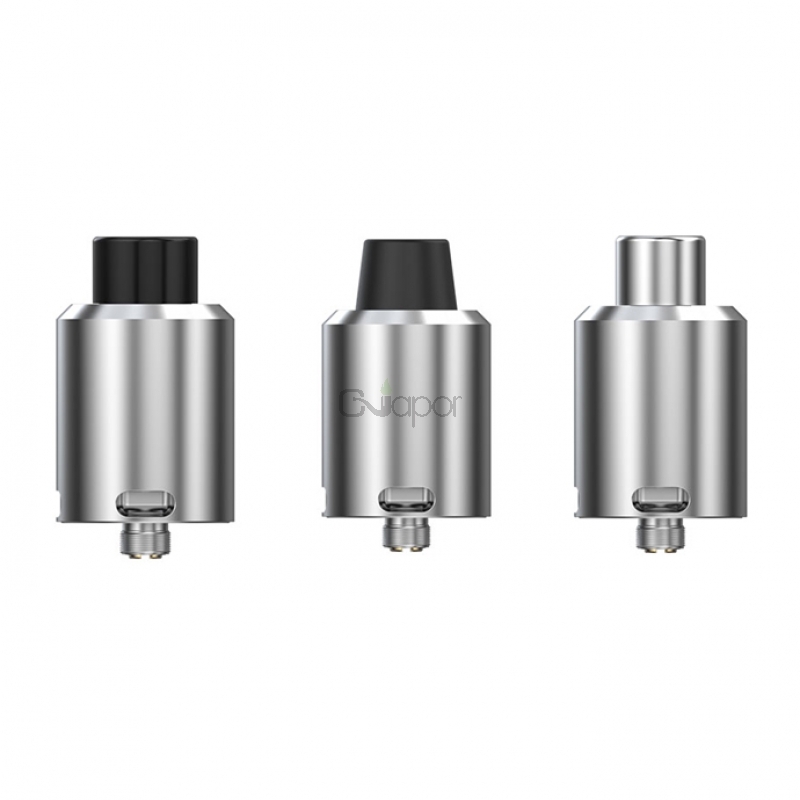 This Tsunami 24 RDA also support three types of drip tips. 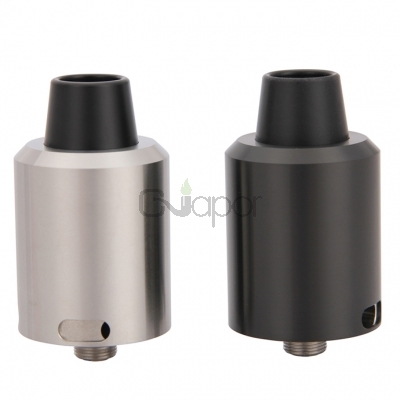 It uses environmentally friendly long lifespan SS316 Set Screw. 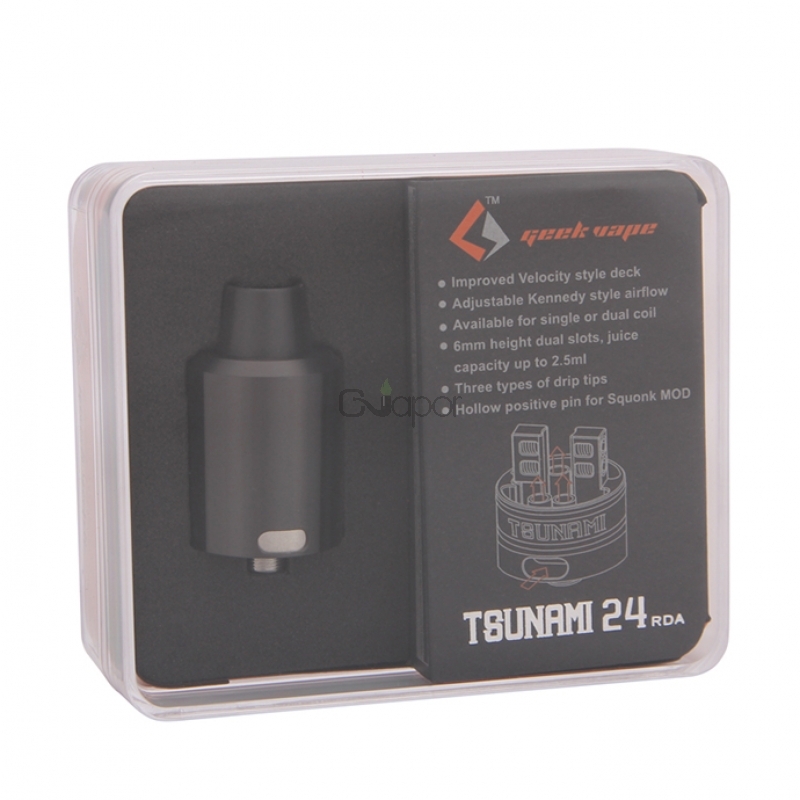 The high quality with insulator Peek makes it green and safe.